Finland’s defence minister has said it aimed to conclude a defence pact with America before US president Barack Obama leaves office, amid concern over Russian aggression. The minister, Jussi Niinisto, told the Reuters news agency on Monday (22 August): “We want to get the agreement ready during the autumn. However, I am convinced that our cooperation with the USA will continue regardless of which candidate is elected president”. He said that the pact would not include a Nato-type mutual defence promise. “It would cover areas where we already work together, like military training, information sharing and research," he said. His comments came ahead of US elections in November. The Republican candidate, Donald Trump, has taken a pro-Russia line in his campaign and has cast doubt on the future of Nato. 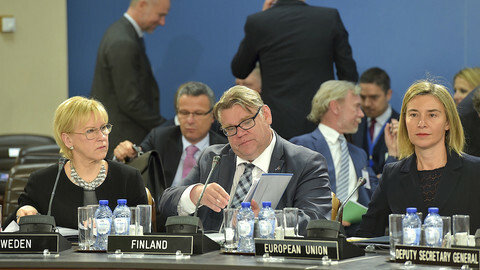 The Finnish foreign minister, Timo Soini, also on Monday, told a meeting of Finnish ambassadors in Helsinki that Russia’s invasion of Ukraine had changed the security situation in Europe. "We cannot, we do not want to turn our back on Russia. At the same time one has to be honest: With its action in Crimea, Russia has broken European rules," he said, referring to Russia’s annexation of Crimea from Ukraine in 2014. 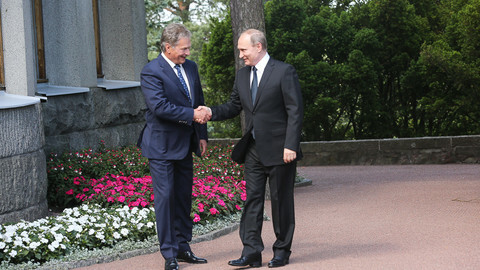 He noted that Finland was also building closer defence ties with Sweden and with Nato. 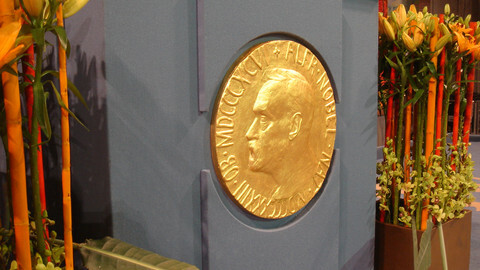 He described Sweden as Finland’s “closest and most natural partner”. 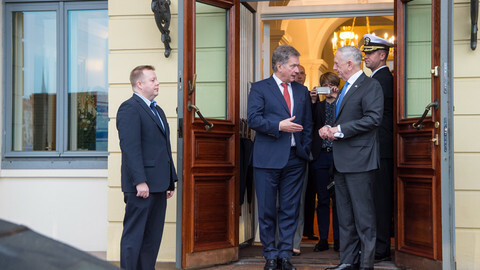 He said Finland was not planning to join Nato, but he noted that “keeping the door [to Nato membership] open serves Finland's security”. He added that “the European Union is also a security community, the significance of which should not be underestimated”. 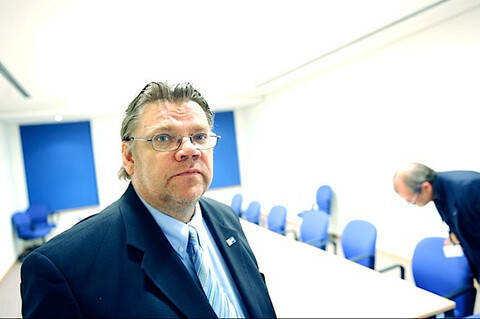 Finland spelled out its thinking in a foreign policy review paper drafted by the prime minister’s office in June. 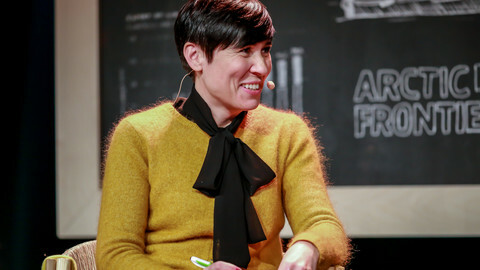 The review said that “during the past 10 years or so Russia, through its actions and interpretations, has challenged the essence of the security regime to an extent, and has destabilised it … A vicious circle has evolved, resulting in increased tension and military activity in the Baltic Sea region”. It said Finland was already a “target” of “hybrid influencing”, referring to Russian propaganda and political and economic pressure. “The use or threat of military force against Finland cannot be excluded”, it added. It said that “Russia’s isolation does not serve anyone’s interests”, but it forecast a difficult period inside Russia in which its leaders would “try to avert internal disorder”, but would struggle with “energy price fluctuations and, in the long term, from different structural problems”. The paper noted that the US deal would focus on “interoperability, materiel cooperation as well as training and exercise cooperation”. It warned that Nato membership would be “a fundamental and far-reaching decision” that would “require wide-ranging debate and careful consideration”. 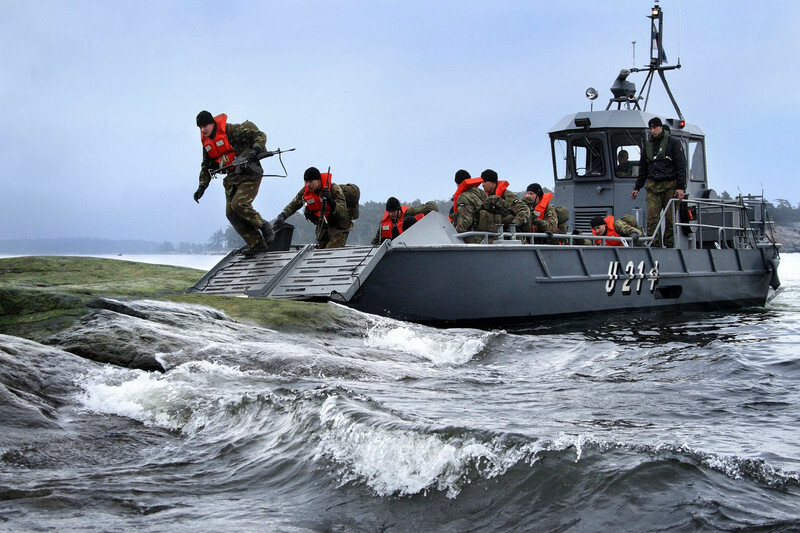 But a recent poll by public broadcaster Yle noted that just 22 percent of Finnish people, who share a long border with Russia, support Nato entry, while 55 percent oppose it. For his part, Russian leader Vladimir Putin on a visit to Helsinki in July threatened to move troops closer to the border if it went ahead. The Finnish security review in June described EU defence cooperation primarily in terms of joint arms procurement and overseas crisis missions. But it noted that the EU treaty, in its article 42.7, contained a “binding” Nato-style “mutual assistance clause”. The clause was invoked by France after last November's attacks in Paris. 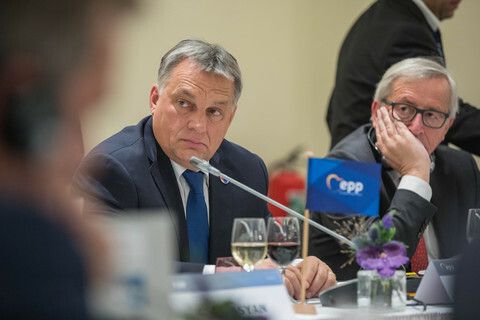 With some EU states, such as the Czech Republic, calling for the creation of an EU army in the wake of Brexit, the defence paper added: “The European Union must continue to further develop its common preparedness and arrangements for closer defence cooperation”. 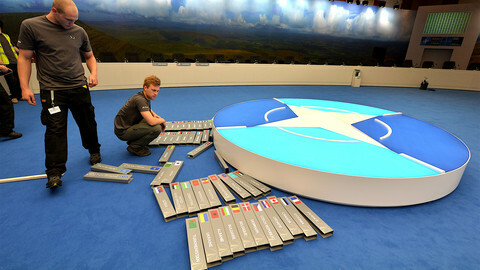 Putin told Finland he would aim to reduce Baltic tensions at Nato council, but warned Finland not to join the alliance.